Nikki's Portraits of Childhood was founded in 1995 in Regina, Saskatchewan; Canada. Prior to this, Nikki operated the business part-time as Sacchetti Portraits. Nikki began painting her own children, but soon requests became frequent to paint other people and their families. Her work not only captures a likeness but depicts the warmth of family ties. Gift certificates may be purchased for your special occasion. Limited editions are also available on the Shop Now page. Several of these are now sold out or within 2 - 5 copies of being sold out making them an excellent investment. captured as lasting works of art, become family heirlooms"
​- Was accepted for an artists' residency at the Johnson Artist Retreat Centre 2017 & 2018. 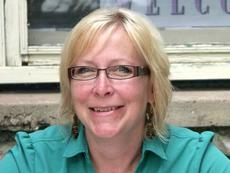 ​- Participated in the Arts Entrepreneur Business Development Course through the Sask Arts Board. ​- Designed and lead the plein air workshop in Cypress Hills, Sask called "Painting Plein Air in the Tradition of the Canadian Group of Seven". A Summer exhibit of student work is planned for July 2018 with the opening reception on July 21st at the Broken Spoke Gallery. - Invited to teach a class on “Drawing Portraits” for the Dunlop Art Gallery – Oct.
June 2015. I have also led 2 excursions to Cuba 2016 and 2017.
the Art Gallery of Regina in 2017.
by the Sask. Arts Board and Sask. Lotteries. one of four panellists (2011). Sketchbook Tour (2010 - 2011). Plus many more. Program mentored by Saskatoon, SK artist Iris Hauser. - 1994 Received Honourable Mention at Artdex International. - Fall 2017 - Present; Represented by the Broken Spoke Art Gallery in Maple Creek. Sask. - Sept. 2014 Sask Culture Days group show with 2013/14 artists of the CARFAC Mentorship Progr.